If you are in need of fire protection system service, contact the best in the industry here at Evergreen Fire Protection, Inc. We promise to give you the highest quality of services for the most affordable prices so that you can get the fire protection services that you deserve. If you are looking for a fire protection solution for your home or business, Evergreen Fire Protection, Inc. has got you covered. Evergreen Fire Protection is based in the Puyallup, WA area and has been servicing all of western Washington for over 11 years. Having a fire start in a residence or a business can be absolutely devastating as important items can be permanently destroyed. Not only is the loss of property immense, but the damages incurred can be extremely expensive to repair or rebuild. In order to help prevent fires from starting and from causing too much damage, Evergreen Fire Protection specializes in residential and commercial fire protection systems. We offer a fully comprehensive service as we install, repair, inspect, alter, and improve fire protection systems for any setting. We are committed in providing high quality services to ensure the satisfaction of our customers. We offer a very wide variety of systems so that you can select the best system for your situation. Our technicians will provide you with a free estimate on any potential job so that you can know what is expected so that there are no surprises. This honest approach has made us the leading fire protection system provider in the area. Make sure that your property is protected from fire. Give us a call to find out how we can help. From 1200sq ft houses to Large Mansions, we do it all. We services apartments, duplexes and other multi-family residency buildings. 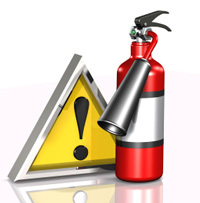 If your commercial building needs a fire protection system. Give us a call.